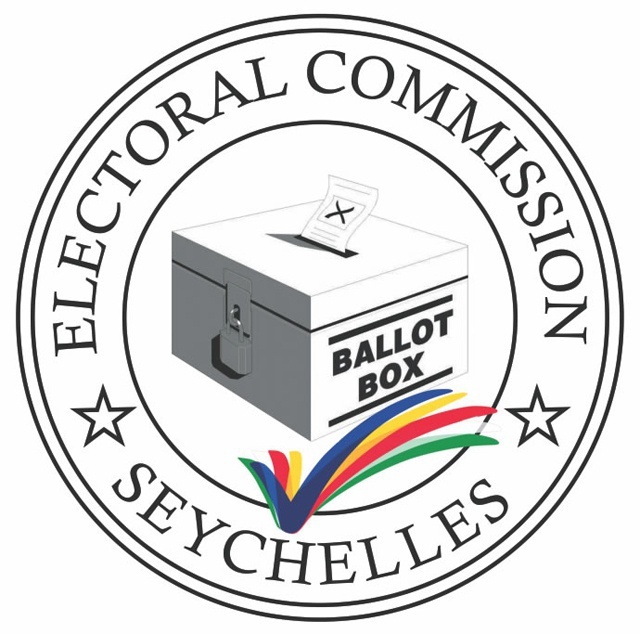 (Seychelles News Agency) - Seychelles eligible voters will once again be called to the polls from Wednesday December 16 to Friday December 18, 2015 in a second round of voting. None of the the six candidates contesting the island nation's presidential elections held from December 3 to 5, 2015 could win the 50 percent plus one votes that was needed for an outright majority in the first round. The contest in two week's time will be between the incumbent President James Michel, Leader of the ruling 'Parti Lepep' and Leader of the Seychelles National Party Wavel Ramkalawan who have secured the most votes. 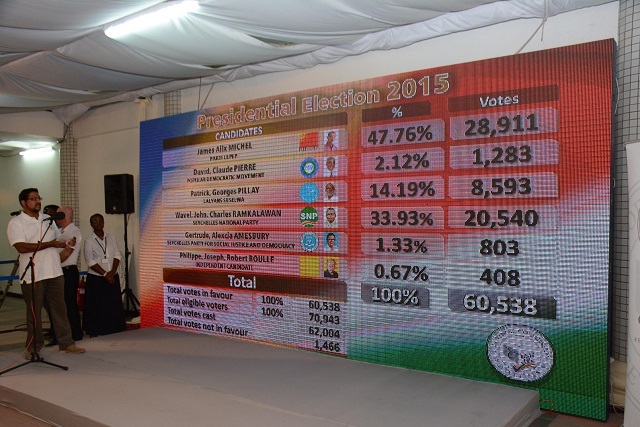 After a long night's wait, the island nation’s Electoral Commission announced the results close to 5 am at its headquarters in the Seychelles Capital of Victoria. 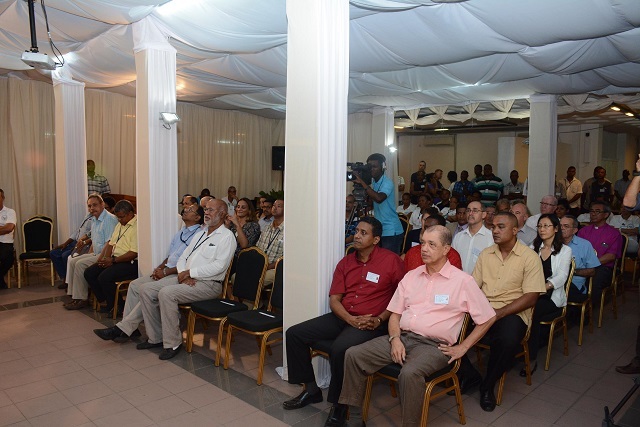 This was in the presence of the candidates themselves, observer missions, religious leaders and members of the diplomatic community in Seychelles. James Michel who was bidding for his third and final mandate at the helm of the Seychelles government has won 28, 911 valid votes or 47.76 percent. His closest rival Wavel Ramkalawan has won 21,391 valid votes or 35.33 percent. Patrick Pillay, a former high-ranking figure within the ruling ‘Parti Lepep’ also leader of 'Lalyans Seselwa' has secured 8,593 valid votes or 14.19 percent. David Pierre Leader of the Popular Democratic Movement has won 400 valid votes or 0.66 percent. Alexcia Amesbury, Leader of the Seychelles Party for Social Justice and Democracy, also the first female candidate in a Seychelles presidential election has won 803 valid votes or 1.33 percent. The sole Independent candidate Philippe Boullé has won 408 valid votes or 0.67 percent. Since the establishment of the Third Republic, which saw the return of multi-party system in 1993, the ruling party has won every single presidential election in the first round and this is the first time there is a run-off presidential election. According to the Electoral Commission, out of the 70,943 eligible voters, there were a total of 62, 004 votes cast among which 60, 538 valid votes and 1,466 rejected ballots.